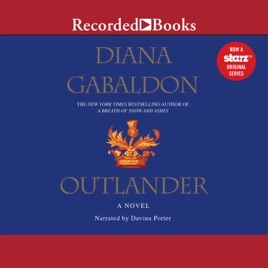 Outlander, Diana Gabaldon’s landmark novel of Scottish lore has captured the hearts of millions of readers around the world and catapulted her to the top of the New York Times best-seller list. Intrigue, danger and desire merge in this lush novel of loyalty and time travel. In 1945, Claire Randall, a former combat nurse, is back from the war and reunited with her husband on a second honeymoon. Their blissful reunion is shattered when she touches a boulder in one of the ancient stone ruins and is instantly transported to a Scotland torn by war and raiding border clans … in 1743. Will Claire find her way back to her own time, or is her destiny forever linked with Clan MacKenzie and the gallant James Fraser? 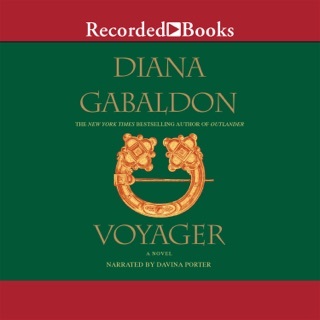 Davina Porter’s lyrical narration will launch listeners into an exhilarating world of heroism, pulse-pounding adventure, and breathtaking romance as one woman is torn between past and present, passion and love. 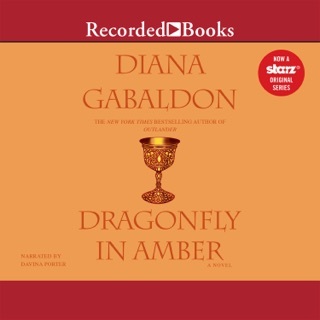 Diana Gabaldon can write a story that will keep you reading day and night. 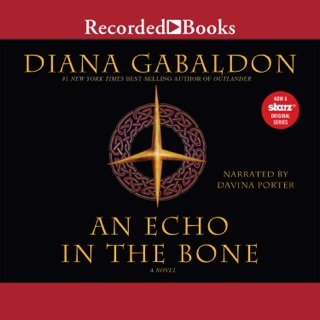 I have read all of her books now I'm listening to the audio's Davina Porter is wonderful. 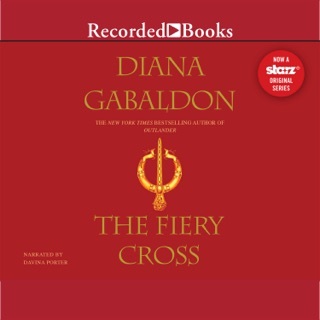 I feel like I know Claire and Jamie and I can't wait for the next book. If you try the first book you'll have to got to the next and then the next, you can't help yourself. Great books. Diana has the ability to weave a world of words into a beautiful story. One with historical validity and a sense of being an eyewitness to the past. 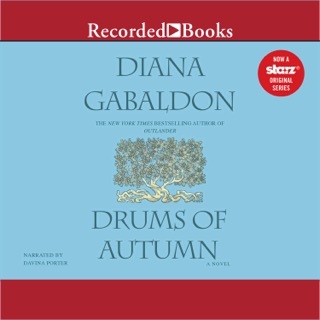 These books inspired my husband and I to take a trip to Scotland to see the land she describes so well.